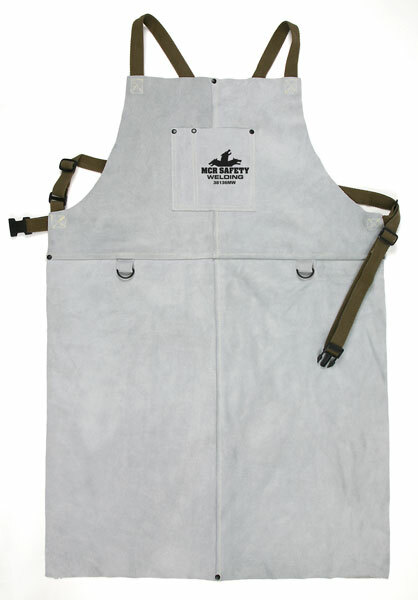 Bib Apron with Front pocket, 24" x 36"
The Heavy Select Gray Side-split leather offers outstanding protection from heat, sparks, slag, and cuts. Keep yourself safe! Protect your most valued possession - your safety!